Former delicious. digital producer Isabella is a blogger who writes about food and travel via her blog Cardamom Journal. 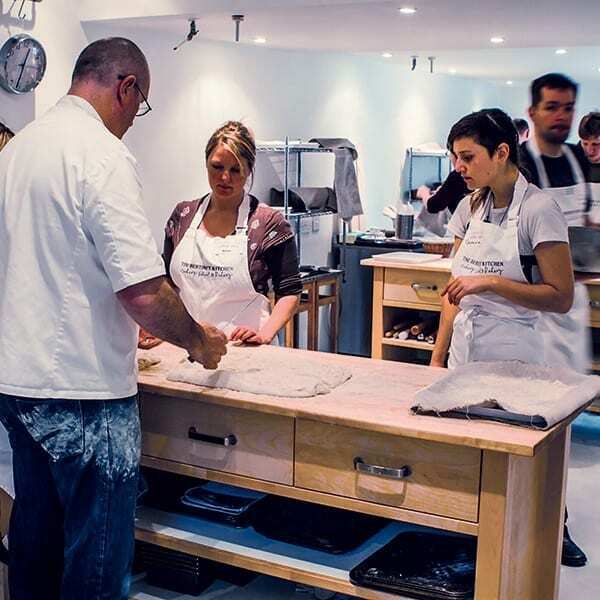 Tucked away in the cobbled backstreets of Bath is baker extraordinaire Richard Bertinet’s cookery school, famed for its hands-on bread-making courses. As a novice baker, I was trying the one-day course but serious bread heads can take the two, three and five-day bread-making courses (or specialise in French, Nordic or Italian breads). His classes always sell out. The class started with the baking essentials: the tools needed (only a plastic scraper, scales, tea towels, a mixing bowl and two hands – not a Thermomix in sight); the type of yeast; the optimum water temperature (“not cold, not warm, just wet”); and how to handle the dough. And don’t ever suggest using extra flour as a way to stop the dough sticking: “There’s a recipe with exact quantities for a reason… Why change it?” As someone who found the idea of making bread intimidating, I was relieved to hear the problems I’d experienced in my own kitchen, such as dough that didn’t rise or loaves that emerged from the oven looking like biscuits, are quite common. They’re usually the result of bad habits and over-complicated techniques, says Richard. We started with a basic white dough to put his method to the test: a combination of folding, slapping and “giving a little French shrug” to bring it together. When the time came to shape our dough into the delicate fougasse (leaf) shape, I was already feeling quietly confident. Throughout the day we created tin loaves, French sticks, focaccia and stuffed breadsticks, learning new tricks and techniques as we went. The class was rewarded with a wonderful lunch of meats, cheeses, pickles and (of course) bread – still warm from the oven. 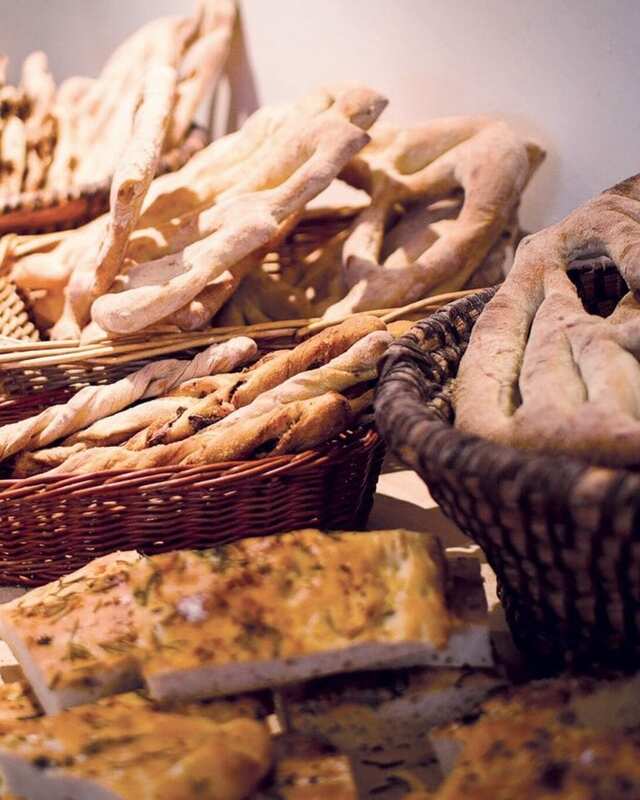 Whether you are new to bread- making or a more confident baker, you’ll learn loads on this course. 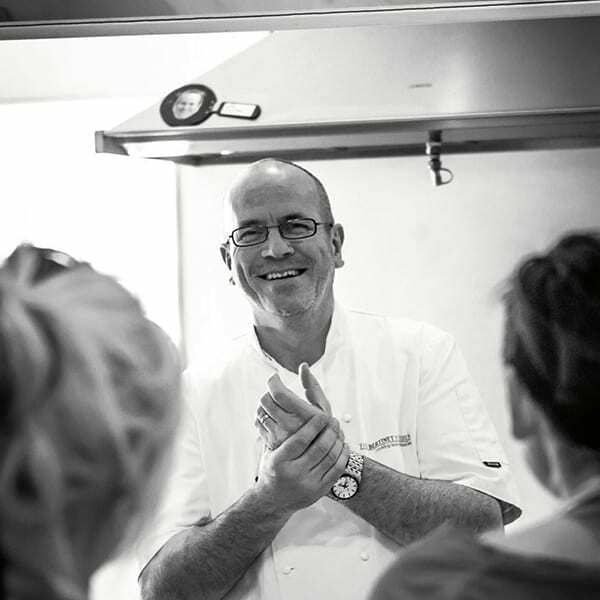 Richard is a fantastic teacher who takes all the fear out of baking with his fun attitude and no-fuss technique. He taught me how to connect with the dough and bring it to life. You couldn’t put yourself in better hands.